These are vintage lucite cabochons that were made in Italy. They are blue with swirls of gold and a pearl like silvery color. These measure 38mm X 25mm. You will receive 2 pieces, one left and one right facing however they are not matched pairs as each is unique. 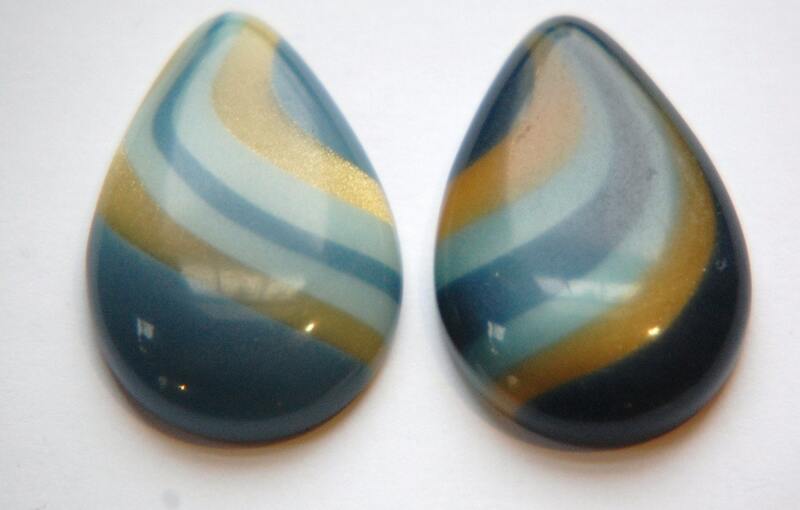 Incredibly quick shipment and cabochons are exactly as described, beautiful. Exactly as described, couldn't be more satisfied.